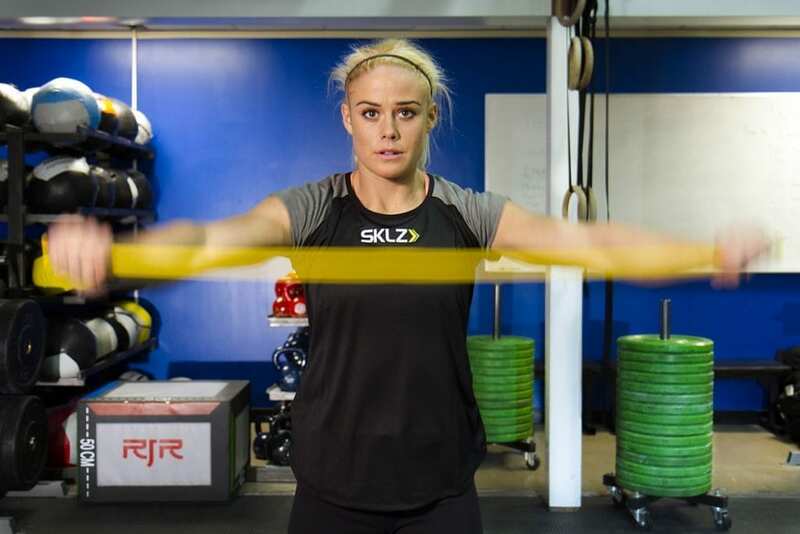 See how Iceland´s Sara Sigmundsdóttir prepares to be ready for the 2015 Reebok CrossFit Regionals this year. We follow Sara on her route to the 2015 Reebok CrossFit Games. Sara Sigmundsdóttir´s first Crossfit competion was a surprise–even to her. A good friend encouraged her to register and with no background in Crossfit she said „Yes!“ Sara took second place in that contest. It’s no surprise that she got hooked on it and today, Sara is ranked second place in Europe for the 2015 Reebok CrossFit Open (just behind Annie Thorisdottir) and is poised to set a few PR’s at the Regional in Copenhagen. We caught up with Sara during her preparation for the Regionals to talk with her about mobility and injury prevention. SARA´s TIP: A daily dose of mobility work should be included as part of a strategic warm up. It can also be a full session on recovery days. This may help to prevent injuries and to improve performance. She likes resistance bands because they are portable and can be anchored to just about anything. Sara uses SKLZ Pro Bands in light (yellow) or medium (red) and Mini Bands. Standing, hold Pro Band at chest height (palms down) with arms shoulder-width apart. Keep arms straight and retract your shoulder blades toward each other while keeping tension in the Pro Band. Looking for more shoulder work? 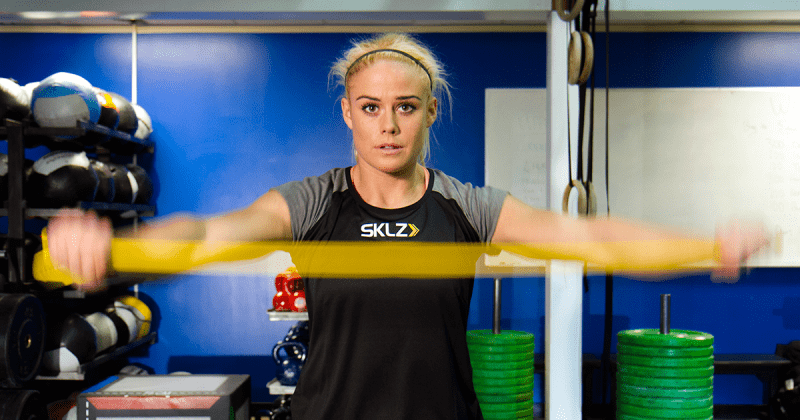 Check out 3 more exercises that were created by SKLZ for Baseball athletes. Hips and glutes are prime movers for many lifts and gymnastic movements. Get them fired up with Mini Bands. Lower into a squat sitting hips back and down while pressing knees out. SARA´s TIP: Practice each drill for 5 to 7 repetitions on both sides. If the movement feels easy, add reps or a stronger band.